Certificates: ISO9001,CCS,ABS,GL,BV,LR,DNV And RINA Etc. 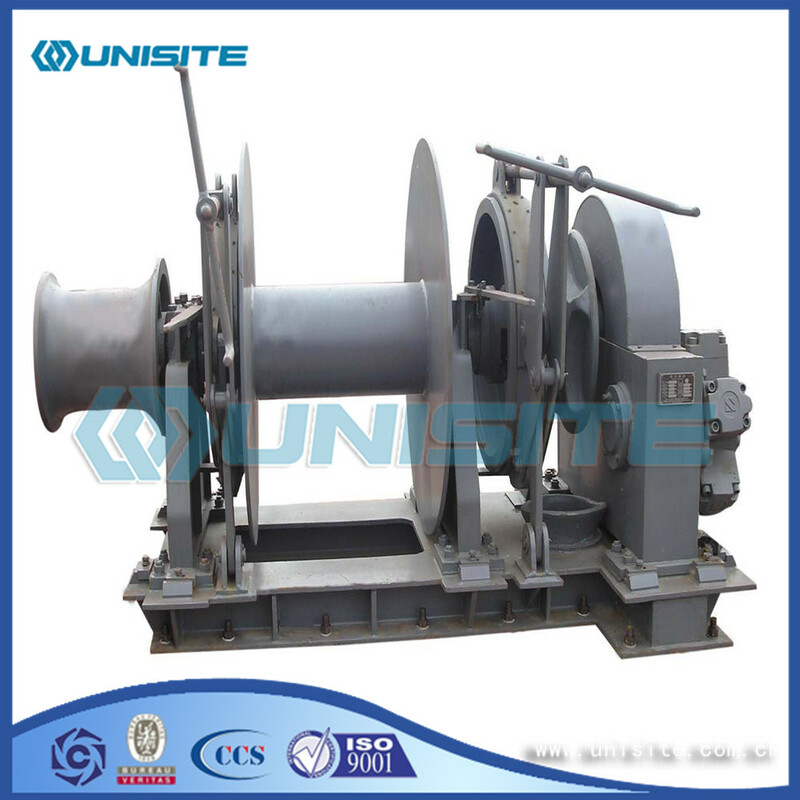 Mooring Winch is a widely used marine winch which is used for mooring and landing the ship, boat, Barge. The mooring winch also has many functions such as drift, support, and positioning during loading andunloading. It mainly has electric type and hydraulic type from 1ton-100ton with single drum or double drum. 1. There is a reliable and efficient control of all electric and hydraulic trawl mooring winches. 2. As a part of anchor mooring systems, mooring winch can provide sensors for tension and length measurement. Auto wire spooling system can ensure excellent wire spooling of extremely long wires. 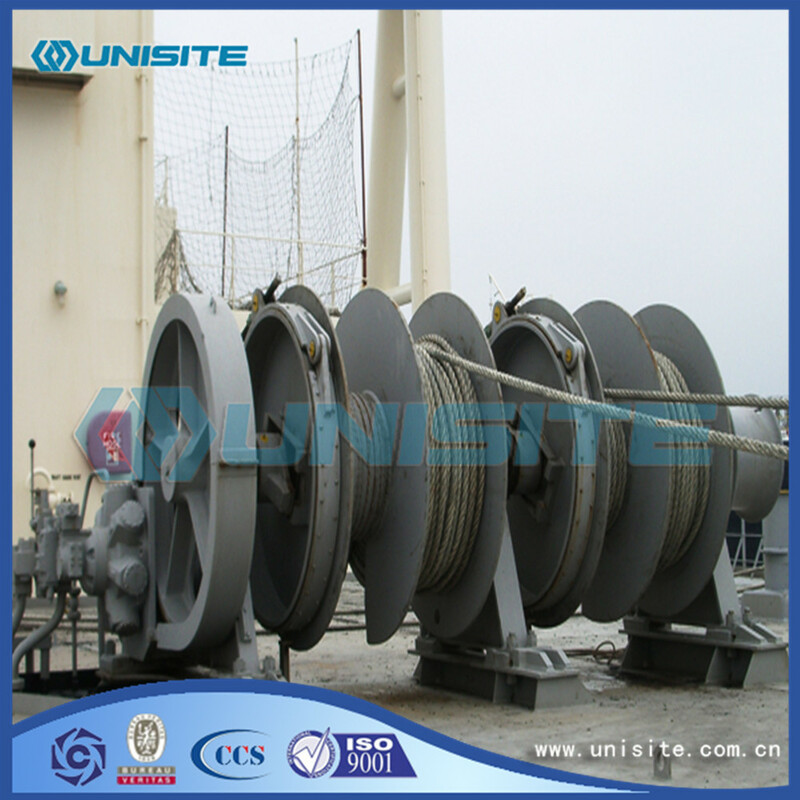 There is no need to define minimum distance between the winch and the first wire sheave. 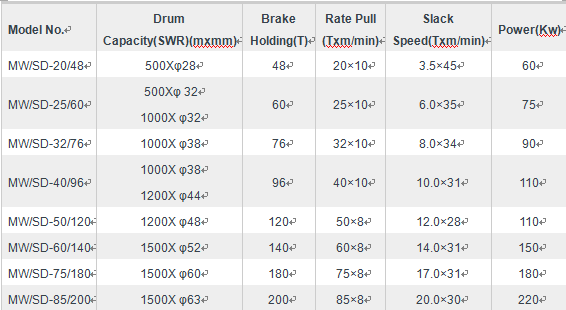 Dynamic braking can facilitate high load or high speed. It includes auto variable speed control, wire spooling and guide systems, grooved drums, emergency release function, gravity lowering, emergency hoisting function, etc. Monitoring and control system can display the wire length and tension graphically and numerically. They are available for 4 points mooring, 6 points, 8 points, 10 points and 12 points anchor mooring systems. Alarms on overload will spread rapidly if an anchor slips. Long-term cooperation with world top dredging and marine companies for more than 10years, UniSite is specialized in providing comprehensive service and parts of dredging, land reclamation, offshore, marine, municipal projects. 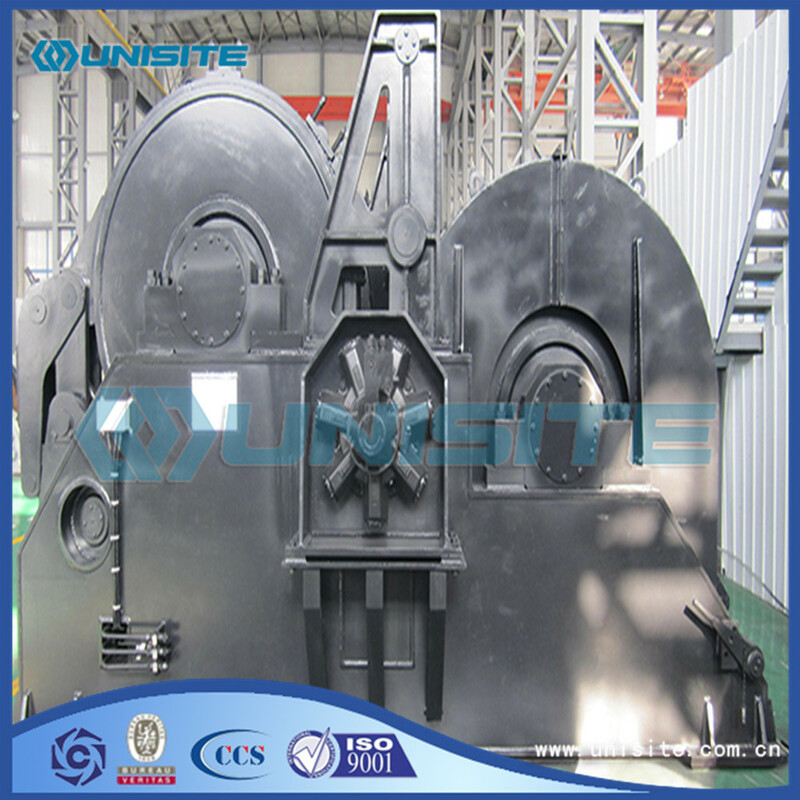 UniSite is one of the most professional dredging and marine companies in design, manufacture, and construction and related products and services. Looking for ideal Mooring Winch Parts Manufacturer & supplier ? We have a wide selection at great prices to help you get creative. All the Mooring Marine Winch are quality guaranteed. 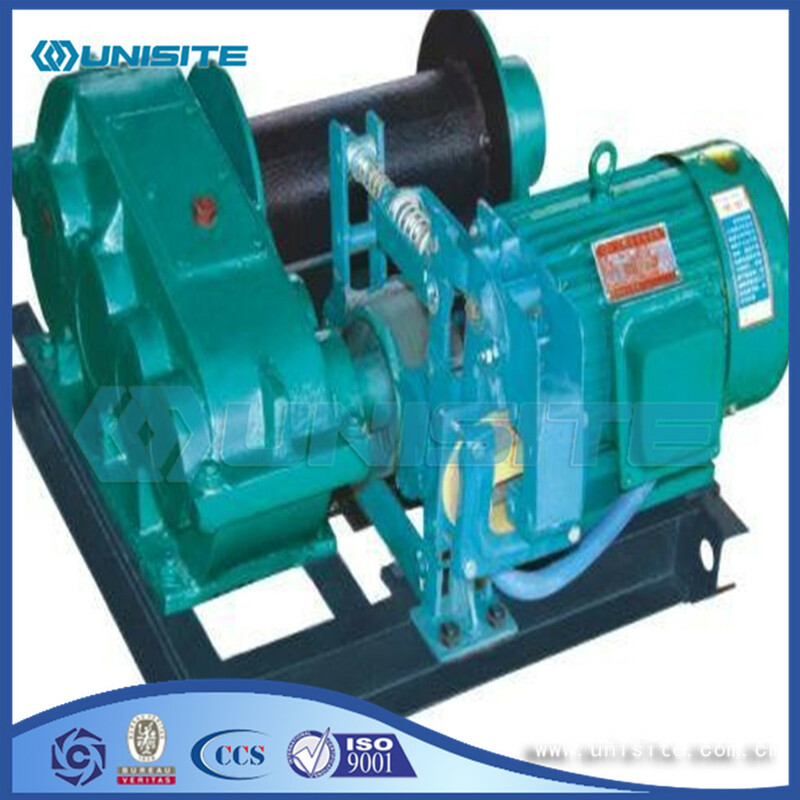 We are China Origin Factory of Electric Mooring Winch. If you have any question, please feel free to contact us.